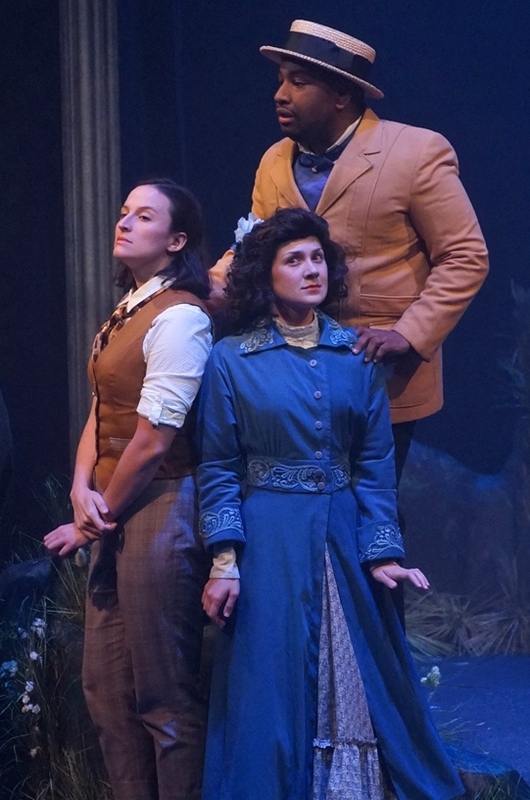 While this may be her first foray on the Park Square stage, Marika Proctor is no stranger to the Saint Paul playhouse, having been born and raised in the capital. Like so many actors, however, she’s experienced her fair share of travels – attending the University of Puget Sound in Tacoma, Washington and more recently, the professional actor training program at the Actors Theatre of Louisville in Kentucky, home to the world-renowned Humana Festival of New American Plays, where she was featured in the play, You Across From Me. Those three words encapsulate the Ken Ludwig play, first performed in 2015, but making it’s Minnesota premiere at Park Square. 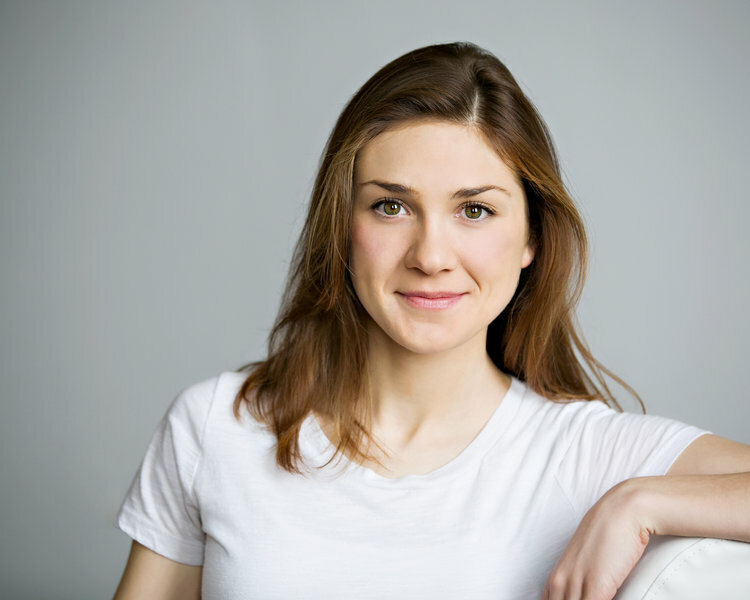 For her part, Proctor is one of three actors tasked with the feat of portraying close to forty different characters! 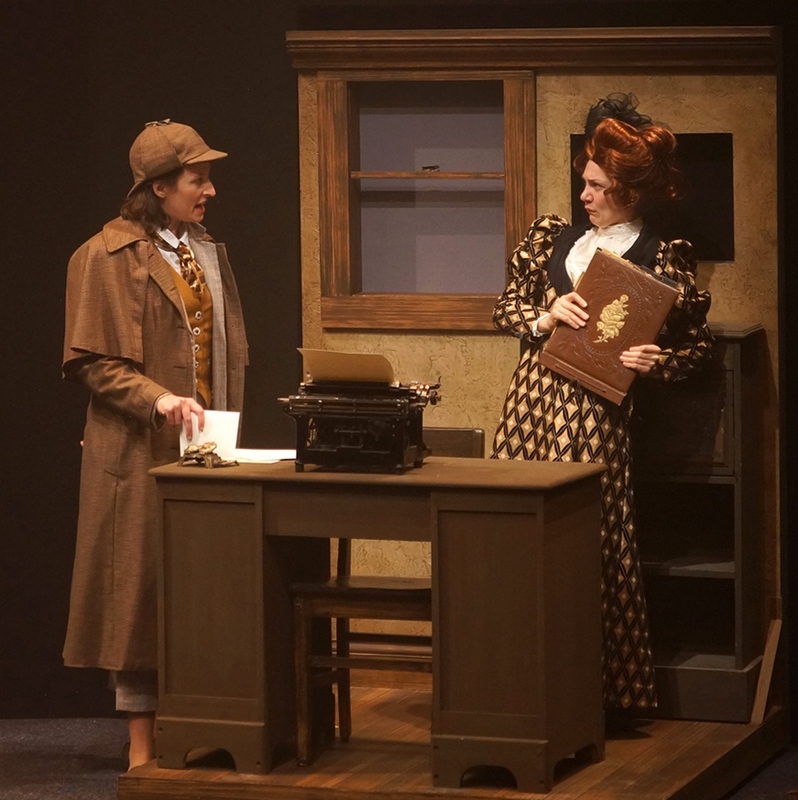 She is thrilled by how the play relishes the sense of fun and mystery. I’m really excited by the sense of play that Theo’s [Langason, Director] brought to the room—I’ll definitely keep this in mind as I figure out how to jump from character to character to character. It’s that sense of play and challenge that Proctor brings to all of her roles. Past Twin Cities’ credits include One Man, Two Guvnors at Yellow Tree Theatre where Lavender Magazine said, “Marika Proctor teases and delights in a crossgender turn.” She has worked with Savage Umbrella and several shows with Classical Actors Ensemble, including the direction of a Comedy of Errors that garnered positive reviews from the Star Tribune and City Pages. With such a rich and varied background in the theatre, what else could Proctor possibly do to fill her time? She says she writes part time for a consulting firm specializing in archaeology, cultural planning and exhibit development for museums and national parks. If variety is the spice of life, then Proctor is doing something right! 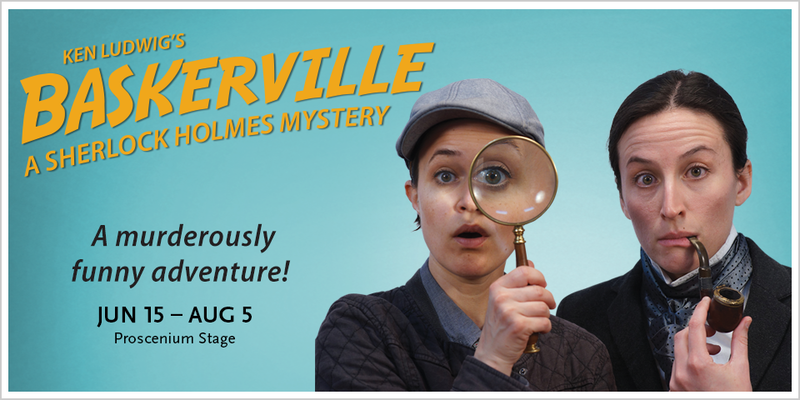 You can come along for the ride too when you see her in Ken Ludwig’s Baskerville: A Sherlock Holmes Mystery at Park Square this summer! The show runs now until August 5, so don’t wait!